For a certain kind of shopper, leasing can be a smart option. If you’re the type who wants a new vehicle with the latest look and features every few years, it can often give you more car for the money. Yet it’s worth laying out the numbers first, to see if leasing adds up in your case—or even makes sense versus buying. If you’re right on the fence, here are some possibilities that might sway you toward leasing—this month’s best lease deals, chosen from a look at what our pricing-minded partners at CarsDirect have spotted in the data, and cross-referenced with what we see as especially good deals in today’s new-car market. Within the context that leasing is for you, each of these are smart picks, and at the numbers we see, represent a lot of leasing value within their class. 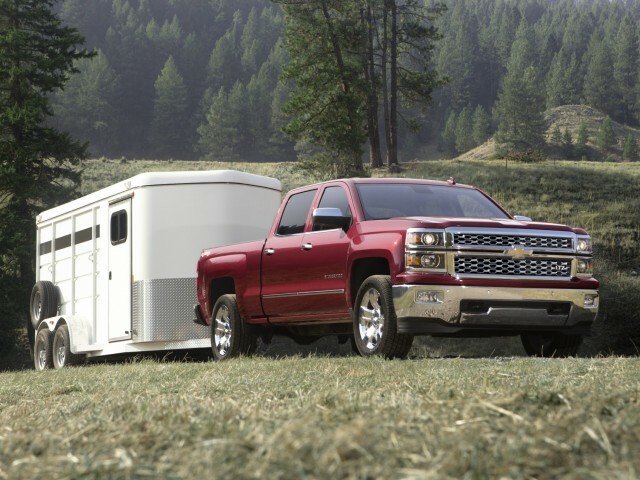 The 2015 Chevrolet Silverado, if you get it in 1LT 4×4 Double Cab form with the V-6, can be leased for just $319 a month ($3,229 at signing). And as CarsDirect points out, if you currently drive a competing model, there’s another $500 on the table at signing. This is one of the best lease deals on a well-equipped full-size truck we’ve seen in a long time. The 2015 Honda Pilot remains one of the best deals of the month. Although a new and dramatically different 2016 model is on the way, the 2015 model, at as little as $269 a month, will still fit the needs of any growing family. It’s the end of an era—and a boxier, more distinct look for the Pilot—as Honda puts a closer focus on the middle of the market. Leases on the 2015 Toyota Avalon XLE have become a bit more affordable, thanks to better incentives this past month. You can get one for as little as $279 a month (36 months) with $1,999 due at signing. This is a model we strongly recommend—especially in Avalon Hybrid form, which might cost a bit more but recoup some of that money in fuel savings. Last month we pointed to the carry-over Infiniti Q40 sport sedan as a strong lease deal. Now Infiniti is offering a deal that’s nearly as good on that model’s thoroughly updated and more refined successor, the 2015 Infiniti Q50. In Q50 Premium form, this $40k+ luxury sedan can be leased for $309 a month ($3,499 due at signing). The 2015 Chevrolet Trax isn’t a particularly high-scoring model in our full-review ratings, yet it might just be what some shoppers this year are looking for, as commuters and small families are looking to the smallest crossovers as replacements for compact sedans and larger utility vehicles. You can now lease one for as little as $199 a month and just $1,189 down.